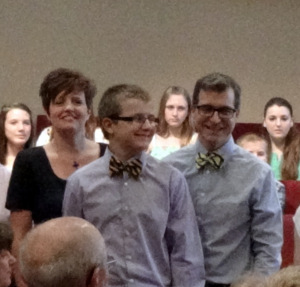 Kearney United Methodist Church had its confirmation service for this year’s class of confirmands this morning. 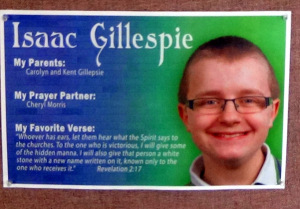 Sixteen confirmands, including my nephew Isaac Gillespie, were presented. The service was the conclusion of a two-year program where they met regularly to review and discuss their understanding of their faith. The service began with some congregational singing, which Lina Witulski, an exchange student staying with Isaac’s family this year, helped to lead. 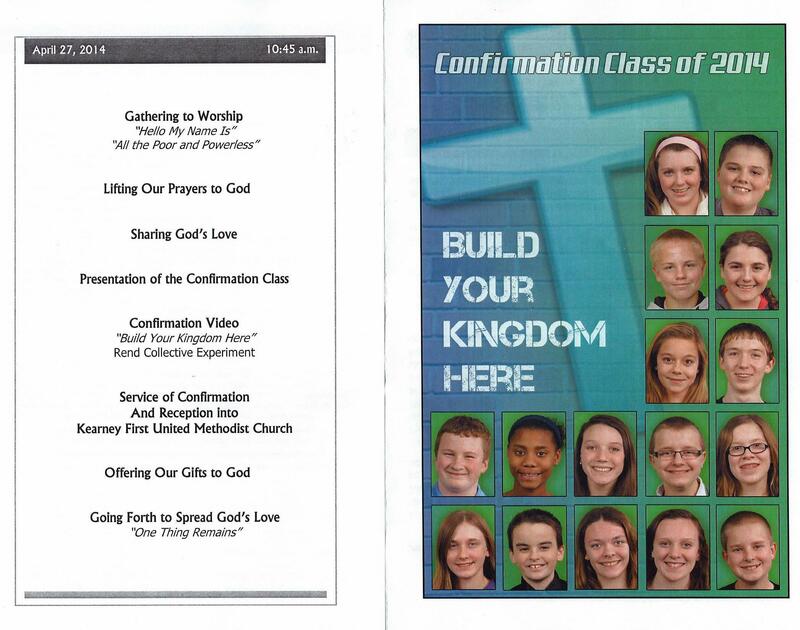 That followed with a presentation of each confirmand and their parents, and then the questions to the confirmands. The pastor prefaced the questions by mentioning that the Methodist tradition believed in the use of questions and answers to help us know what we think and believe. The questions included questions about God and Jesus that were responded to with recitations of faith from the Apostles’ Creed.